This article is about the character. For the guest star, see Brooke Shields. Brooke Shields is an American actress. 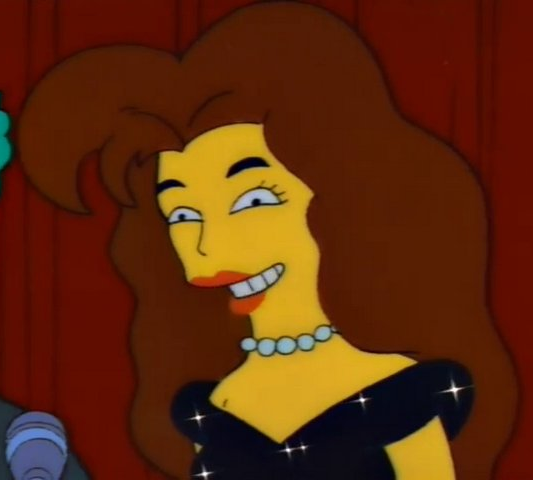 Brooke Shields and Krusty the Clown co-presented the award for outstanding writing in a cartoon series. Brooke kept reading from the script they had been given, but Krusty was distracted by the first joke, complaining about it. She then read out the nominees for the award, and announced that The Itchy & Scratchy Show had won. She has been featured on Before They Were Famous and a picture of her was seen in Springfield Sardi's. The Guy Who Married Brooke Shields was one of the people who read The Answer. Modified on October 13, 2017, at 12:02.